Blogs | Pedro's blog | Confused by a mortgage prepayment penalty? Here's what you need to know! Confused by a mortgage prepayment penalty? Here's what you need to know! It sounds so good to pay off your mortgage early and sit back at peace in your ‘own’ home! A hot cup of fine morning tea, with some handmade chocolate chip cookies, will surely make a good kickstart to your day! 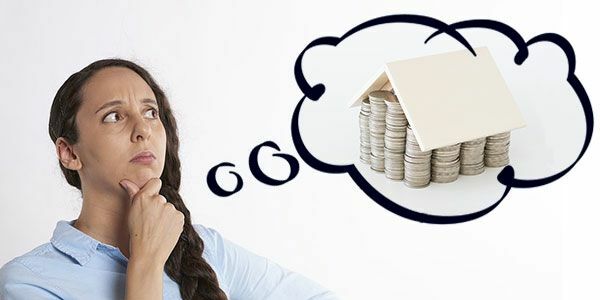 But, there’s this small thing which you might be hearing lately, if you are a mortgage borrower, and if you are planning to pay off your home loan early. It is none other than a “mortgage prepayment penalty”. You must be thinking that if you do a prepayment for your mortgage, then you will be committing a serious crime, and the lender will charge you a penalty for the crime! Well, guess what, you have got the whole thing absolutely correct!! But it will be counted as a crime only in the eyes of the lender! You, my friend, can completely be assured that you are not at fault. What is a prepayment penalty and why paying off your mortgage early is considered a bad call by your lender? In its legal terms, it can also be called a yield maintenance prepayment penalty. But in simple terms, it is usually called just a ‘prepayment penalty’ or a ‘yield maintenance fee’! This penalty or fee is charged to you, when you pay off your mortgage in full, before the scheduled loan period or term! Sounds pretty ethical to do a prepayment right? I mean, what’s wrong in paying off a debt before time? It should be seen as an act of virtue, isn’t it? Well no! A lender will see it otherwise, because this prepayment of yours will give a facepalm to your lender, as he will incur huge loss. Let me explain it to you in its real sense. The house you have bought is an investment property for the lender. By selling it to you, he plans to earn a profit over a certain period of time, based on interests! Now, you doing a prepayment means you are ruining everything for him! The lender can’t no more make the desired profit! Mathematically speaking, a ‘yield value’ is always recorded as positive. Thus to keep the yield value positive, the lender charges a maintenance fee for any loan (especially which is backed by security), whenever the principal amount is paid back in full before time! The mortgage market has 2 distinct penalty fee systems that are known as a soft prepayment penalty and a hard prepayment penalty. A soft prepayment penalty can be issued by the lender on a certain mortgage loan, where the conditions state that a penalty fee is to be paid, when mortgage debt is paid off in full before the loan term, due to refinancing only! On the other hand, a hard prepayment penalty is imposed by a lender, when a loan clause states that a fee is applicable if the mortgage balance is paid off in full before the end of the loan term, due to any reason! By “any reason” the lender means any reason! It could either be by refinancing, or selling off the property or anything that helps you to pay off the loan in full before the scheduled time. Now, it is completely up to the lender and the mortgage company, whether it wants to include a hard prepayment penalty or a soft prepayment penalty. And it is up to you, which lender to choose based on such loan terms! Can you still benefit from doing wise prepayments, despite the penalty? Undoubtedly, paying off the debt in full before time is a big bonus for you. You will surely save some big amounts. However, you got to be a bit wise and do the prepayment thing sensibly. Here is a mortgage loan early payoff calculator that will help you to see how much you can save by making extra payments. Another point to keep in mind is that the prepayment penalty is valid only for a certain period. You need to discuss it with your lender to figure out, up to how many years from buying the mortgage, will this penalty be active. So, if you don’t pay off your mortgage in full within this time frame, then you can avoid the prepayment penalty! Again, taking out a mortgage is your decision. A mortgage affordability calculator will help you to determine if you can really take care of the mortgage. Making a bad mortgage decision might force you to make altered decisions later, where you will be left only with the refinancing option! And, if you refinance your mortgage within the penalty period, then unknowingly you can suffer a huge loss! Therefore, understand your mortgage clauses and make decisions accordingly! N.B: This post is meant to help you understand the very basics of the prepayment penalty. The information provided may/may not match a real-life scenario. Mortgage payment rules are set exclusively by the lender. Please read and understand the underlying clauses completely before making a purchase!